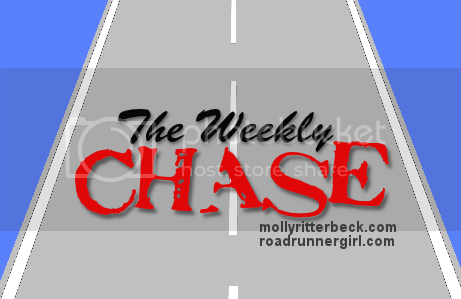 Week one of marathon training is in the books!! If this is the way all my weeks are going to go, then this will be one good training session. I’ve handled the jump in miles and I’m looking forward to the next coming weeks. We have a solid plan. Monday – What started out as a 1 mile day and Body Pump ended up with 5 miles and BP! I met Christie before class to get 2 miles in, then we took the class. She still had additional miles to run after class which if anyone who has ever tried to run after a BP class is tough! I put back on my HR monitor and said let’s go! I ran the other 3 miles with her and we got it done. It was tough, but we did really well. Tuesday – I must love my friends! I planned to run 4 miles, but when Christine and I met up she needed to get in a few more miles for the week, so we ran 6 miles. We headed by to see our friend, Kay, and snagged a freezy pop at mile 4.5. It was the perfect run break! Wednesday – It was hotter than Hades. The humidity was kicking and the air was so thick. Going into this run, I knew that it may not go well. I was right. It was a run, run, run, run, WALK, run, run, run, WALK. We just could not find a rhythm at all. The promise of cold towels, freezy pops and Gatorade made us head to run with Thad’s running group. We could not pass that up! We got in 4.25 miles. 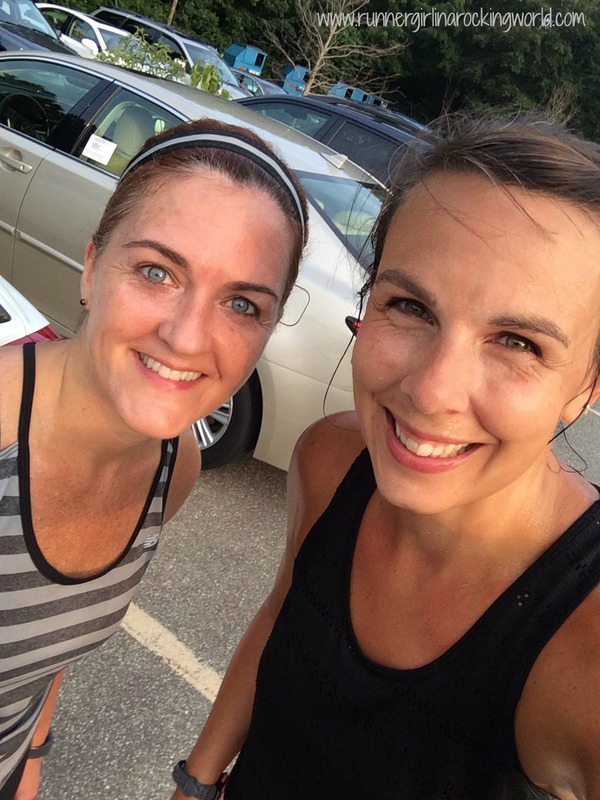 Thursday – I met Christie for some early morning miles. My legs felt good so I pushed for 3 miles and cool downed for the last one. This run was also day 800 of my run streak!! Friday – One mile rest day! So excited to only have to run one mile. We had to piece together some meals this week waiting for our Hello Fresh delivery on Wednesday. 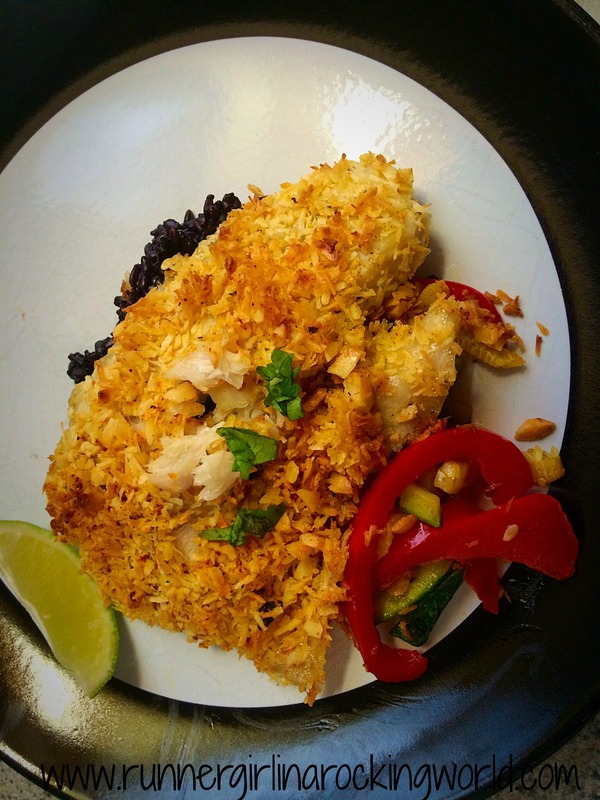 Coconut Macademia Crusted Tilapia, forbidden rice and sauteed squash and red peppers from Hello Fresh. Great job! This was my first week of training too… and the heat is not helping me out!! We had too, prepping ourselves for it to start. We’ve been doing back to back long runs since we started our training in February. We liked it so much, we kept them! D-damn–great job on your run streak! 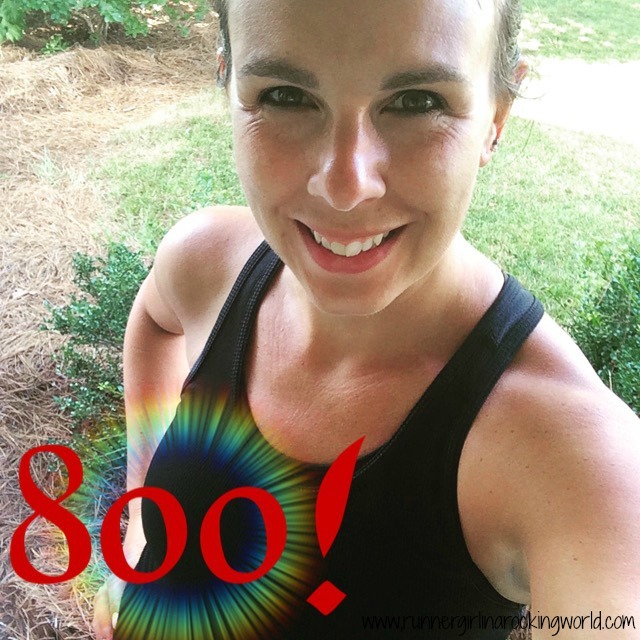 800 is an amazing accomplishment!! My Hello Fresh box comes this week! 😀 I’m so excited!! Oh yeah!! So excited for you to try it out!! Hope you like it as much as we do. I have a few other friends hooked on it now too. 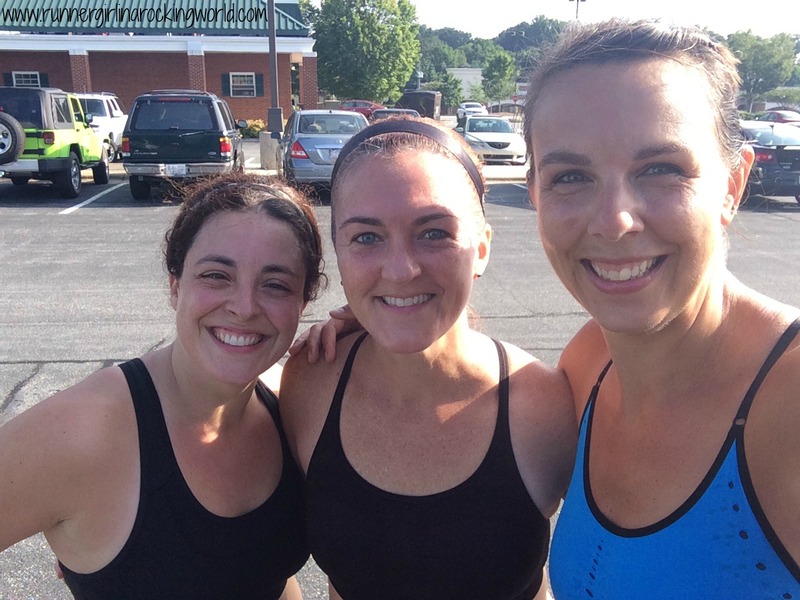 Nice job on your first week of marathon training! Crushed it! Thank you!! Not bad for running 5 more miles than I intended to run. I felt good so I went with it!